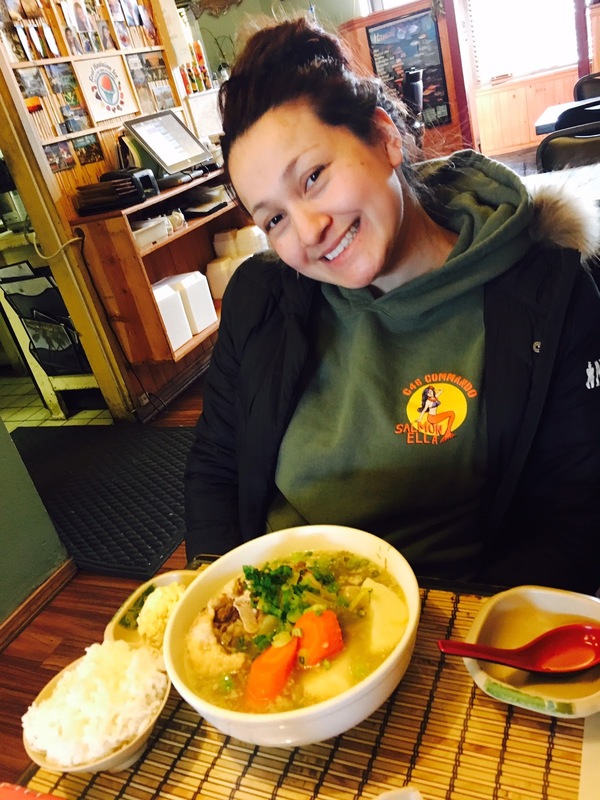 WAIPA IN REAL LIFE: MY VALENTINE'S WEEKEND IN ANCHORAGE, ALASKA!!! MY VALENTINE'S WEEKEND IN ANCHORAGE, ALASKA!!! WITH ALL THE DRAMAS THAT I JUST OFF MY SHOULDER, I CAN NOW START BLOGGING THE GOOD STUFF, THE "BEAUTIFUL" PART OF MY LIFE!!! SEVERAL WEEKS AGO I WENT HOME TO VISIT OHANA AND FRIENDS AND ESPECIALLY... MY KAHEALANI!!! A FEW DAYS BEFORE I ARRIVED IN HAWAI'I... 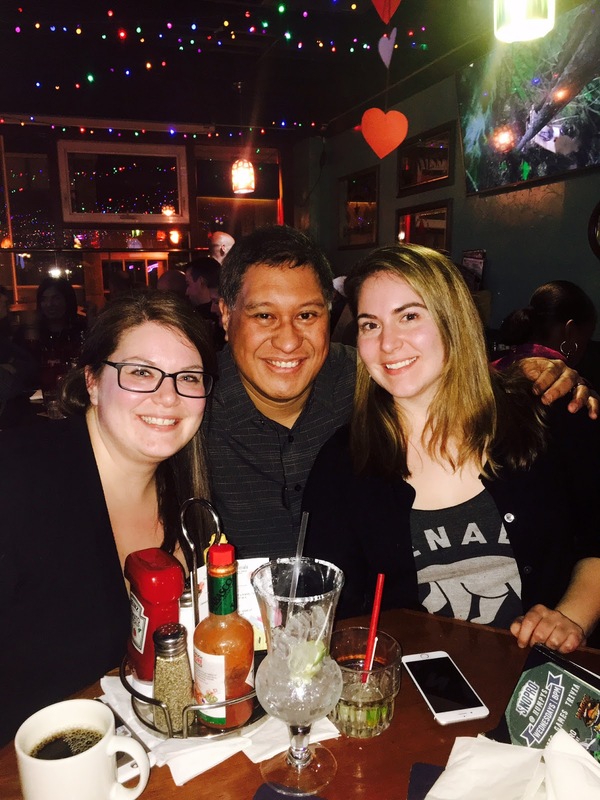 I SPENT THE WEEKEND IN ANCHORAGE, ALASKA WITH OHANA & FRIENDS. I'VE REUNITED WITH SEVERAL FRIENDS WHOM I'VE RARELY HANGED OUT WITH FOR SOME TIME!!! I INVITED MY GOOD FRIEND, DENISE WHOM I HAVEN'T SEEN IN SEVERAL YEARS TO COME JOIN ME TO ANCHORAGE!!! AND LOOK WHO I ALSO RAN INTO... GINA FROM "FRONT STREET RESTAURANT"... HOW EXCITING!!! THE BEST PIC EVER, MY COUSIN KA'IWA FILLS AND COMPLETES THIS PERFECT PORTRAIT!!! AND WE WEREN'T HOLDING BACK!!! 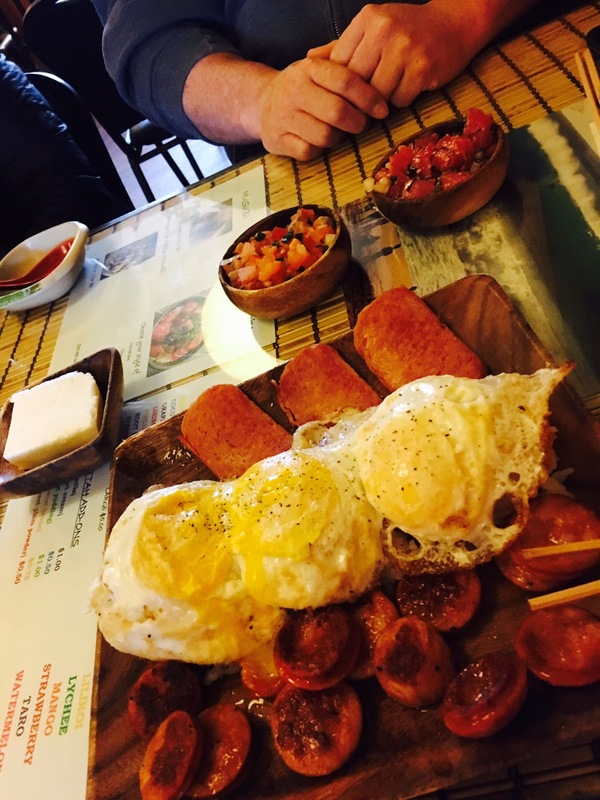 ONE OF MY FAVORITES... "MISO POKE"
FOR ME, IT WAS A BREAKFAST KINDA FEEL FOR ME... NO CAN GO WRONG WITH SPAM & PORTAGUESE SAUSAGE WITH EGGS OVER EASY!!! DENISE IS ABOUT TO KILL HER OXTAIL SOUP!!! AFTER OUR KILLER MEAL, WE HEADED TO OUR HOTEL AND GOT READY FOR OUR EVENING PLANS... AND WHAT EXACTLY IS OUR EVENING PLANNED FOR??? YES I DID SHAVE, KAHEALANI HATES IT WHEN I DON'T SHAVE... LOL!!! OUR LOVELY DESIGNATED DRIVER, DENISE!!! WE GOT TO MEET UP WITH ALL OUR FRIENDS!!! THE BEAUTIFUL SISTERS, KATIE & LAURA!!! ONE OF MY FAVORITE PICS OF THE NIGHT!!! H3 IS ROCKING THE HOUSE... ISLAND VIBING!!! MY ALASKA AIRLINES CO-WORKER... KEENAN!!! MY COUSIN, KAUA FROM HILO, HAWAI'I!!! DON'T EVER "DOUBLE FIST"... JUST TRUST ME ON THIS... GEEZ... JUST LOOK AT MY EYES... LOL!!! YES... ITS REAL AND I WASN'T GONNA LET ALL THIS GO TO WASTE!!! ANOTHER FAVORITE PIC OF THE NIGHT!!! TO BE HONEST... I DON'T REMEMBER TAKING THIS PIC OR MUCH OF THE NIGHT... LOL!!! ACCORDING TO LAURA, I WAS OUT COLD... BELIEVE IT OR NOT, I WAS SLEEPING IN THIS PIC... LOL!!! THANK YOU DENISE FOR BRINGING ALL OF US BACK TO THE HOTEL IN ONE PIECE... YOU ARE THE BEST!!! THE BEST DAMN VALENTINE'S WEEKEND EVER!!! STAY TUNED FOR MY NEXT EPISODE... HAWAI'I!! !